GAD67 reflecting their molecular weights of 65 and 67kDa, respectively (Martin and Rimval, 1993; Soghomonian and Martin, 1998). The two isoforms of GAD, which are encoded for by different genes, exhibit distinct differences with regard to regulation and subcellular localization in neurons. It appears that GAD65 mainly exists as a dormant apoenzyme, which may be rapidly activated by binding of the coenzyme, pyridoxal phosphate. This together with the demonstration that it is preferentially associated with nerve endings in GABAergic pathways makes it highly interesting in relation to biosynthesis of neurotransmitter GABA (Martin and Rimval, 1993; Waagepetersen et al., 2001). GAD67, on the other hand, is present in the cytosol throughout the GABAergic neurons and it appears to exist mainly as the catalytically active holoenzyme having the coenzyme tightly bound (Martin and Rimval, 1993). Both isoforms are regulated by protein kinase-mediated phosphorylation, GAD65 being activated and GAD67 being inhibited (Martin and Rimval, 1993). Since the first immunocytochemical demonstrations of a selective localization of GAD in GABAergic neurons (Saito et al., 1974; McLaughlin et al., 1974; Ribak et al., 1976) it has been the general notion that GAD is only expressed in such neurons and hence, it has served as a marker for GABAergic neurons. Recent studies of the distribution of GAD particularly in hippocampal structures have, however, presented evidence that GAD is present also in certain glutamtergic neurons (Sloviter et al., 1996; Gutierrez, 2003). The functional implications of this are not well understood but it may be speculated that it could be related to the neurotro-phic actions of GABA during early neuronal development as demonstrated in a number of studies (Belhage et al., 1998; Waagepetersen et al., 1999; Fiszman and Schousboe, 2004). In this context it may be of interest that it has recently been demonstrated that glutamatergic cerebellar granule neurons in culture are able to transport and concentrate GABA which is synthesized via GAD in and subsequently released by a small population of GABAergic neurons present in these cultures of dissociated cerebellum from 7-day-old mice (Sonnewald et al., 2004, 2006). Although glutamate is the immediate precursor for GABA biosynthesis it has been demonstrated in different brain tissue preparations that glutamine is a more efficient exogenously supplied substrate (Reubi et al., 1978; Westergaard et al., 1995). This is in keeping with the concept that replenishment of GABA in vivo is accomplished by a combination of its reuptake in the presy-naptic nerve ending (see below) and supply of glutamine from surrounding astrocytes by the operation of the GABA-glutamine-glutamate cycle (Waagepetersen et al., 2003). The synthesis of GABA from glutamine via glutamate requires the presence of phosphate-activated glutaminase (PAG) in GABAergic neurons, a prerequisite fulfilled by the demonstration of considerable PAG activity in such neurons (Larsson et al., 1985). It may, however, be noted that the two enzymes have different subcellular localizations, PAG being mitochondrial and GAD cytosolic (Balazs et al., 1966). Due to this mitochondria could play a functional role in GABA biosynthesis. Although for decades this was not investigated seriously, it has recently been demonstrated using 13C-labelled glutamine as a precursor for GABA synthesis in GABAergic neurons that a large fraction (>60%) of newly synthesized vesicular GABA originates from glutamate which has been produced in a fashion involving mitochondria and the tricarboxylic acid (TCA) cycle as illustrated in Fig. 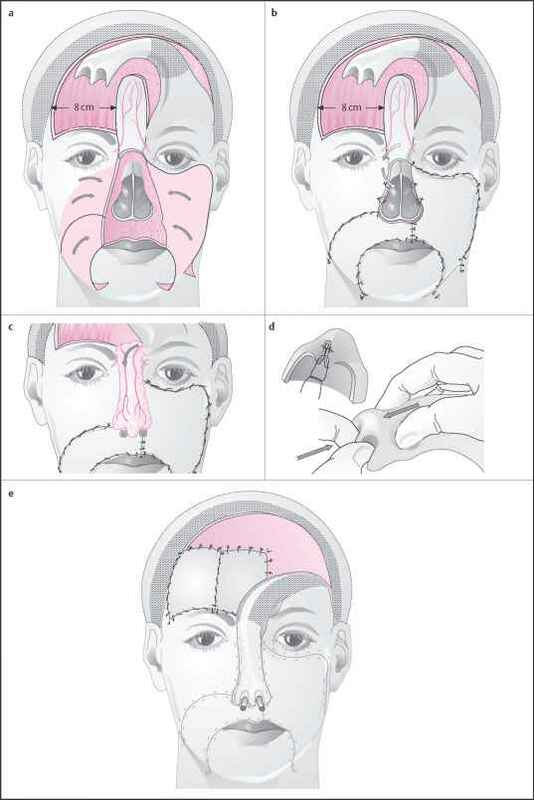 1 (Waagepetersen et al., 2001, 2003). This may add regulatory mechanisms to the biosynthetic machinery involved in replenishment of vesicular GABA. Fig. 1. An illustration of two pathways for GABA synthesis from glutamine. 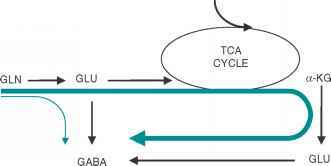 The bold arrow illustrates the predominant pathway where the carbon skeleton of glutamine is metabolized via the TCA cycle prior to synthesis of GABA. The thin arrow illustrates the direct synthesis of GABA from glutamine without involvement of the TCA cycle. Fig. 2. Schematic representation of the TCA cycle and the GABA-shunt, which provides an alternative pathway for conversion of aKG to succinate. Abbreviations: aKG: a-keto-glutarate; SSADH: succinate-semialdehyde; GABA-T: GABA-transaminase; GABA: g-aminobutyrate; GAD: glutamate decarboxylase; Glu: glutamate. degradative part of the shunt is GABA-T, which is present in both neurons and astrocytes and in many other organs than the brain (Schousboe et al., 1977a; Wu et al., 1978; Larsson et al., 1985; Schousboe and Waagepetersen, 2007). This enzyme has been purified to homogeneity by several investigators and characterized with regard to Km values for the substrates GABA and a-ketogluta-rate (Schousboe et al., 1973, 1974; Cash et al., 1974; Bloch-Tardy et al., 1974; Maitre et al., 1975; John and Fowler, 1976). A high metabolic rate of conversion of GABA to CO2 in situ is compatible with the low Km values for both substrates (Machiyama et al., 1970; Yu and Hertz, 1983) and the fact that GABA-T is a mitochondrial enzyme associated with matrix (Schousboe et al., 1977b). It should be noted, however, that CO2 production per se does not represent a net degradation of the C-4 unit derived from GABA (Fig. 2). Complete oxidation of the carbon skeleton of GABA requires pyruvate recycling, i.e., conversion of malate to pyruvate via malic enzyme and subsequently conversion of pyruvate to acetyl CoA and CO2 by pyruvate dehydrogenase (Waagepetersen et al., 2003). This process, however, is only marginally present in neurons but does take place in astrocytes, making the latter cell type likely to be the major site for complete oxidative metabolism of GABA (Schousboe and Waagepetersen, 2006). This has some fundamental consequences for maintenance of optimal GABA-ergic activity in the CNS as discussed in detail recently (Schousboe et al., 2004a,b,c). 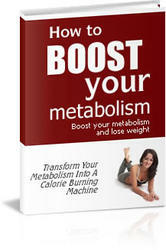 GABA metabolism has been monitored using proton and 13C NMR spectroscopy and different labelled substrates such as [1-13C]glucose, [1,6-13C]glucose and [2-13C]acetate or [1-13C]glu-cose in combination with [1,2-13C]acetate in both normal animals and in various disease models (Cerdan et al., 1990; Haberg et al., 2001; Sonnewald and Kondziella, 2003; Patel et al., 2005). 13C-labelled GABA was detected from [1-13C]glucose in an in vivo 13C NMR study in humans suggesting substantial GABA turnover (Gruetter et al., 1998). Glucose is metabolized in both neurons and astrocytes while acetate is a marker of astrocytic metabolism due to selective uptake into astrocytes (Waniewski and Martin, 1998). Thus, employing these substrates information regarding compartmentalized metabolism at the level of astrocytes and neurons can be obtained. Simultaneous injection of [1-13C]glucose and [1,2-13C]acetate into the same animal, glial metabolism is resolved from [4,5-13C]glutamate and glutamine and [1,2-13C]GABA is formed from [4,5-13C]glutamine via transfer from the astrocytes to the GABAergic neurons and thus the GABA-glutamate-glutamine cycle activity can be estimated. 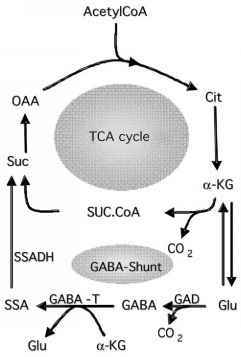 On the other hand, [2-13C]GABA derived from [2-13C]acetyl CoA (formed from [1-13C]glucose) reflects metabolism in the neuronal TCA-cycle (Haberg et al., 2001). 1996) has been used in the monitoring of GABA metabolism in both in vivo and ex vivo experiments (Hassel et al., 1998; de Graaf et al., 2006; Patel et al., 2005, 2006). Evidence has been provided supporting the notion that the non-inhibited fraction of GABA-T, primarily localized in the astrocytes, is up-regulated due to a rise in the cellular GABA content upon acute vigabatrin treatment. Such explanation requires that GABA-T is not saturated in the astrocytic compartment. These considerations would explain an observed unchanged total GABA level, rate of GABA synthesis from glutamine and total GABA-T activity in vigabatrin treated animals (de Graaf et al., 2006). GAD was almost two-fold higher than that observed in rats exposed to halothane (Mason et al., 2001; Patel et al., 2005). GABA-shunt activity was estimated to be approximately 17% of total cerebral TCA cycle activity using [1-13C]glucose in an ex vivo NMR spectroscopy study in mice (Hassel et al., 1998), a value being significantly higher than those discussed above. The fraction of GABA which is taken up by the presynaptic neuron compared to that taken up by surrounding astrocytes has only been estimated from indirect measurements. From NMR studies it has been estimated that the GABA-gluta-mate-glutamine cycle accounts for approximately 23% of the total cycling of glutamine from as-trocytes to neurons (Patel et al., 2005). The rate of the GABA-glutamate-glutamine cycle and the glucose oxidation rate of GABAergic neurons increase with cortical activity in line, although to a smaller extent, with that observed for gluta-matergic neurons and the glutamate-glutamine cycle (Patel et al., 2005). It has previously been suggested that particularly GAD65 and not GAD67 may be associated with synthesis of neurotrans-mitter GABA during neuronal activity, mainly due to its localization in the nerve terminal (Kaufman et al., 1991). The importance of GAD65 for catalysing GABA synthesis during seizure was investigated in an experimental design using in vivo 1H NMR spectroscopy in vigabatrin treated rats, a treatment which exhibits a selective inhibitory effect on GAD67 expression (Sheikh and Martin, 1998; Mason et al., 2001) and GAD65 was shown to be responsible for the majority of GABA synthesis during seizures (Patel et al., 2006). It was furthermore suggested that an increase in a known activator of apoGAD65, during seizures might transform the large amount of dormant apoGAD65 into the active holoform (de Graaf et al., 2006). In keeping with its role as a neurotrans-mitter, GABA is released from nervous tissue upon depolarisation in a Ca2+-dependent manner (Curtis and Johnston, 1974; Schousboe et al., 1976; Otsuka, 1996). This represents vesicular release (Otsuka, 1996) which is the combined result of vesicular filling by transport of cytosolic GABA into vesicles via vesicular GABA transporters and subsequent depolarisation-coupled, Ca2 + -dependent fusion of the vesicular and plasma membranes (Otsuka, 1996). It has been demonstrated in a number of neuronal preparations that depending upon the nature of the depolarising signal release of GABA may occur not only from vesicles but also by reversal of the GABA transporters (see below), i.e., release of GABA originating from the cytoplasmic pool of GABA (Pin and Bockaert, 1989; Bernath, 1992; Belhage et al., 1993). An important feature of this non-vesicular release is that it can be blocked by non-transportable GABA transport inhibitors such as diphenyl-butenyl-nipecotic acid and tiagabine di(methyl-thienyl)-butenyl-nipecotic acid (Belhage et al., 1993; Waagepetersen et al., 2001). An analogous release of GABA may also occur from glial cells (Minchin and Iversen, 1974). Altogether, such non-vesicular release of GABA occurring preferentially at extrasynaptic sites could be of considerable functional importance considering the recent demonstration that extrasynaptic GABA receptors may mediate tonic GABAergic inhibition (Mody, 2001; Krogsgaard-Larsen et al., 2004; Schousboe et al., 2004b). Levi and Raiteri, 1973). Subsequent kinetic studies in primary cultures of astrocytes and GABAergic neurons clearly confirmed that both of these cell types express high-affinity GABA transporters with Km values around 10-20 mM (Schousboe et al., 1977a; Larsson et al., 1981). Numerous recent immunohistochemical studies using antibodies directed against the cloned GABA transporters (see below) have likewise demonstrated that both neurons (synapticly and extrasynapticly) as well as astroglial cells express a variety of GABA transporters (for references see Conti et al., 2004; Madsen et al., 2007). The advent of the purification of a sodium and chloride dependent GABA transporting 80kDa glycoprotein from rat brain synaptosomes (Radian et al., 1986) was instrumental in the subsequent first cloning of a rat brain GABA transporter (GAT1) having a Km for GABA of 7 mM and exhibiting a Na+ and Cl" dependence (Guastella et al., 1990). Subsequently, two other GABA transporters with Km values of 8 and 12 mM were cloned from rat brain (Borden et al., 1992) and referred to as GAT2 and GAT3. Four GABA transporters were almost simultaneously cloned from mouse brain and these were given the names GAT1, GAT2, GAT3 and GAT4 (Liu et al., 1992, 1993). One of these (GAT2) is homologous to the betaine transporter cloned from rat brain (BGT-1) by Yamauchi et al. (1992) and hence the nomenclature of the GABA transporters is somewhat confusing since rat GAT2 and rat GAT3 corresponds to mouse GAT3 and GAT4, respectively (Schousboe and Kanner, 2002). In the following, the mouse nomenclature will be used and therefore GAT2 is synonymous with BGT-1 (Schousboe and Kanner, 2002). It should be noted that the Km for GABA of GAT2 is somewhat higher than that for the other three transporters (Bolvig et al., 1999). Nevertheless, as will be discussed below, this transporter may well be of considerable interest in relation to fine-tuning of GABAergic neurotransmission (Schousboe et al., 2004b,c). 1977). Gamma-vinyl GABA was subsequently developed into a clinically active drug (vigabatrin) used to treat certain types of epilepsy (Kramer, 2004). Inactivation of GABA as a neurotransmitter occurs exclusively by diffusion in the synaptic cleft and active transport into presynaptic nerve endings and astroglial cells ensheathing the synapse (for references see Schousboe and Waagepetersen, 2007). It is therefore clear that inhibition of such transport could lead to increased GABA levels in the synapse and thus to enhanced efficacy of inhibitory neurotransmission (e.g., Schousboe et al., 1983). As proposed by Schousboe et al. (1983) it would appear most attractive to selectively inhibit astroglial GABA transport as this would allow presynaptic transport to facilitate replenishment of vesicular GABA levels. A recent study using a series of astroglial GABA transport inhibitors as anti-convulsants in audiogenic seizure prone Fring's mice has demonstrated that this principle may well be correct emphasizing the important role of astroglial GABA transport in the regulation of GABAergic efficacy (White et al., 2002; Schousboe et al., 2004a). Development of GABA transport inhibitors has been the topic of pharmacological characterization of the GABAergic system for more than 30 years. Hence, early studies led to the notion that p-alanine and diaminobutyric acid would act as selective inhibitors of glial and neuronal GABA transport, respectively (see Iversen and Kelly, 1975). However, particularly the concept of p-alanine being specific for glial GABA transport has been questioned partly because it acts as a substrate for the taurine carrier, which is predominantly expressed in glia (Larsson et al., 1986). Subsequent studies using the cloned GABA transporters have actually provided evidence that p-alanine preferentially inhibits GAT3 and GAT4 both of which are mainly expressed in glial cells (Borden, 1996). An extensive characterization of the pharmacology of neuronal and glial GABA transport was initiated by the advent of the demonstration of THPO (4,5,6,7-tetrahydroisoxazolo[4,5-c]pyridin-3-ol) and its isostere nipecotic acid being active as GABA transport inhibitors with no activity on GABA receptors (Krogsgaard-Larsen and Johnston, 1975). Thus, in a series of studies using cultured astrocytes and neurons as well as the cloned transporters (GAT1-4) expressed in human embryonic kidney cells (HEK cells) a large number of GABA analogues of restricted conformation using nipecotic acid, THPO and exo-THPO (3-hydroxy-4-amino-4,5,6,7-tetrahydro-1,2-benzisoxazol) as the GABA mimetic entity have been characterized leading to the identification of drug candidates (for overview see Schousboe et al., 2004a; Clausen et al., 2006a,b; Madsen et al., 2007). Among these EF 1502 (N-[4,4-bis(3-methyl-2-thienyl)-3-butenyl]-4-(methyl-amino)-4,5,6,7-tetrahydrobenzo[d]isoxazol-3-ol) first described by Clausen et al. (2005) may be of particular interest as will be discussed below. As seen in Table 1, it represents an interesting GABA analogue among the series of compounds developed using the bicyclic isoxazole moity of THPO as a GABA molecular scaffold. It is the only compound of this very large library of GABA analogues (Falch et al., 1999; Clausen et al., 2005, 2006a,b), which potently inhibits both GAT1 and GAT2. All other compounds are GAT1 selective. The importance of this in relation to development of a second-generation clinically active anti-epileptic drugs is discussed in the following section. The development of the clinically active anti-epileptic drug tiagabine the action of which specifically relates to its inhibition of GABA transport (Suzdak and Jansen, 1995) has provided proof of principle that GABA transporters are indeed relevant drug targets for development of anti-epileptic drugs. Likewise, the application of vigabatrin in treatment of epilepsy shows that GABA-T is a suitable drug target. Recent attempts to develop new GABA analogues aimed at inhibiting GABA-T (Choi and Silverman, 2002) have, however, not led to development of clinically active drug candidates.